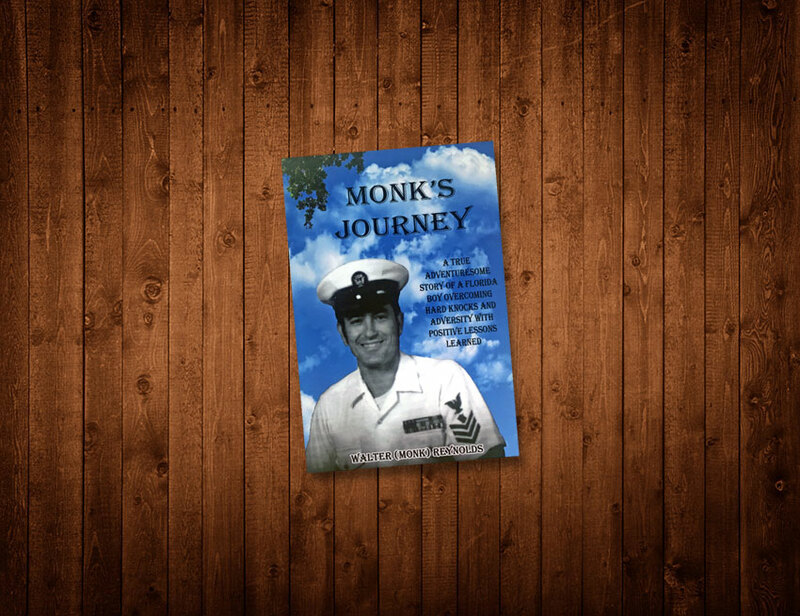 Returning to his home state of Florida after a successful career in the US Navy, Walter “Monk” Reynolds wrote his book, Monk’s Journey. It is the story of his remarkable life, growing up in rural Florida seventy-five years ago. There he lived a life of poverty and abandonment, being moved from one family member to another until his mother brought him to live with her and a new stepfather. From age six, Walt was harshly and repeatedly beaten and abused. Yet, Walt realized that if he is to survive, he must cope with abuse, and he does. Dedicating his book to Bull, his “friend, and protector,” his dog, Walt and his little brother watched as Bull is all but slaughtered by their step father in a drunken rage. The two little brothers secretly nursed Bull back to health, and after months hidden away under the garage, Bull limped out to receive the astonished welcome —and remorse– from his abuser. At age seventeen, Monk joined the military service and built a very successful career. He never lost faith in himself, and through extensive travel in the service and subsequent interactions with many types of people, he looked back on his life.